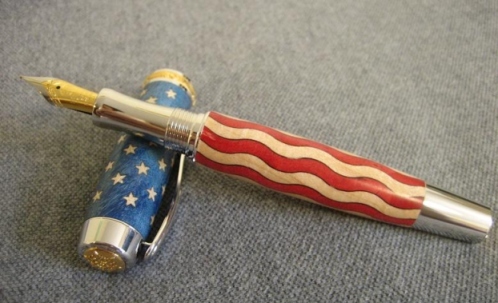 There are a number of different pen plating options to choose from when selecting your perfect custom pen. However, from experience, we have come to rely on ONLY three. To the exclusion of other platings, Rockwood Studios only sells pens in Black Titanium, Titanium Gold, or Rhodium plating. 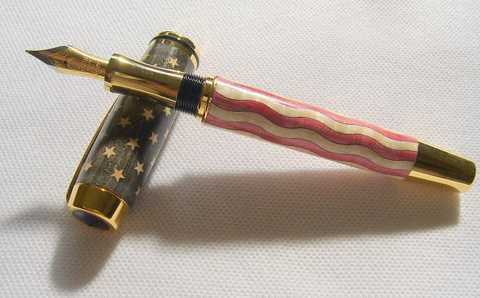 The other popular pen plating that exist include 24kt Gold, Brushed Satin (Gold, Nickel, and Pearl), Chrome, and Black Chrome. Why does Rockwood Studios offer only three different plating options? The answer is simple: QUALITY. We are committed to providing our customers with the highest quality components for their wooden pens. Here's what we mean. If you wanted to buy a 24kt Gold or Satin Gold pen, it would be a better investment for you to purchase Titanium Gold plating. This is because Titanium Gold is more expensive and consequently more durable. It is guaranteed to resist scratching better than the other metals and retain its luster longer. Low quality is also characteristic of Nickel/Pearl Satin and Chrome. These are inexpensive metals that simply do not compare in worth to the more refined and stronger Rhodium or Black Titanium plating. Please beware of other pen makers who offer low quality metal plating for their pens at inexpensive prices. It is true that these pens may be cheaper because the materials cost less, but as the old adage goes, "the bitter taste of poor quality lingers long after the sweetness of low price is forgotten." Do not be left with a rotten taste in your mouth, even if it is six months or six years later. 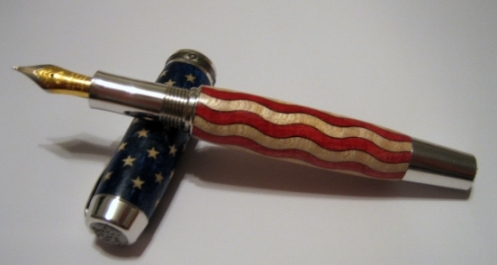 Invest in a custom pen that will last a lifetime!